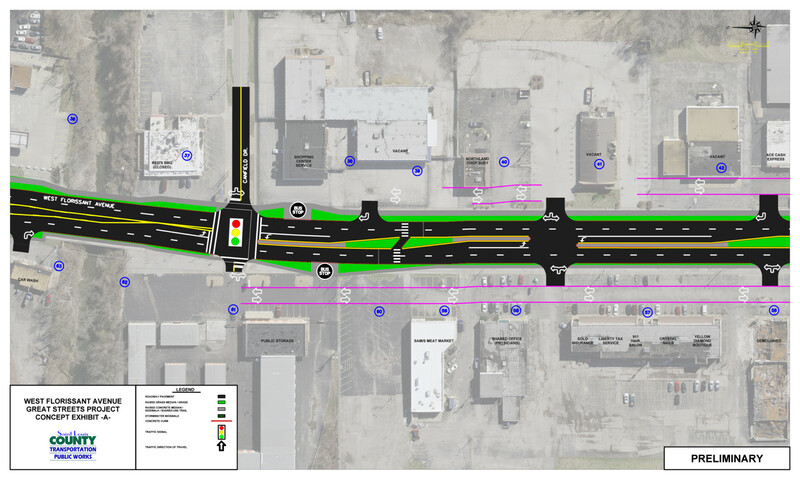 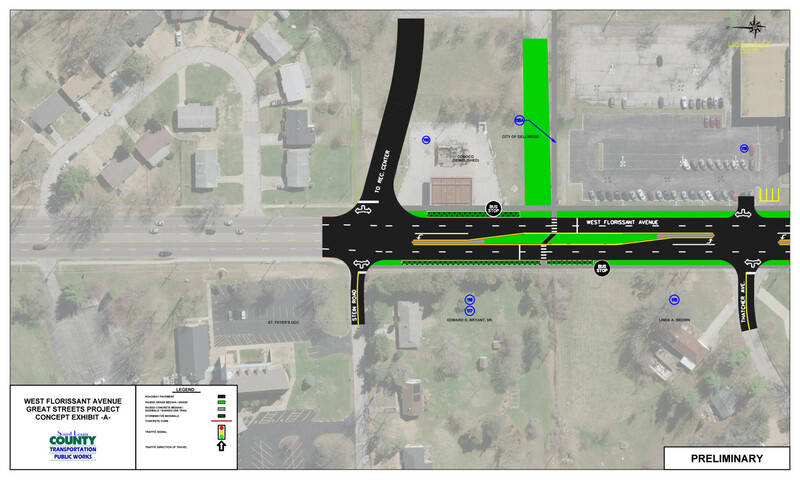 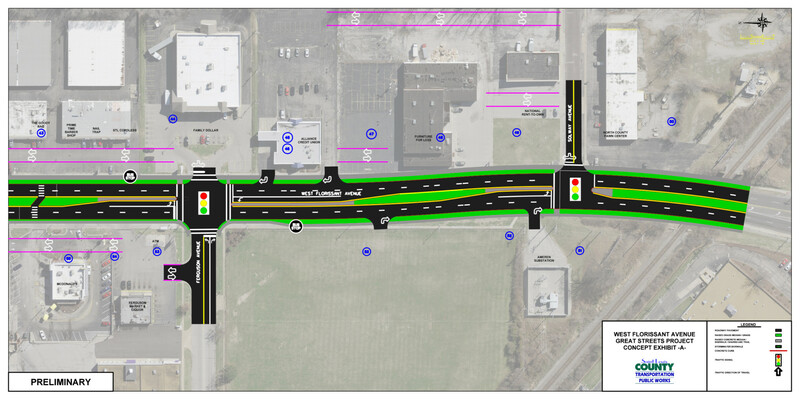 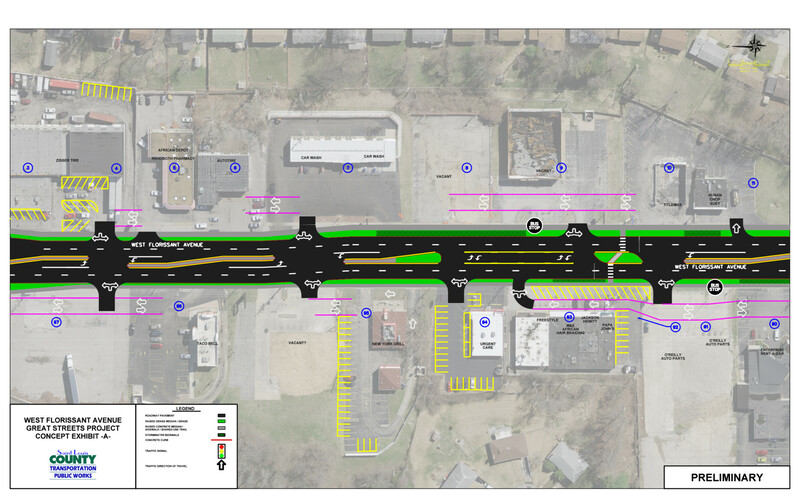 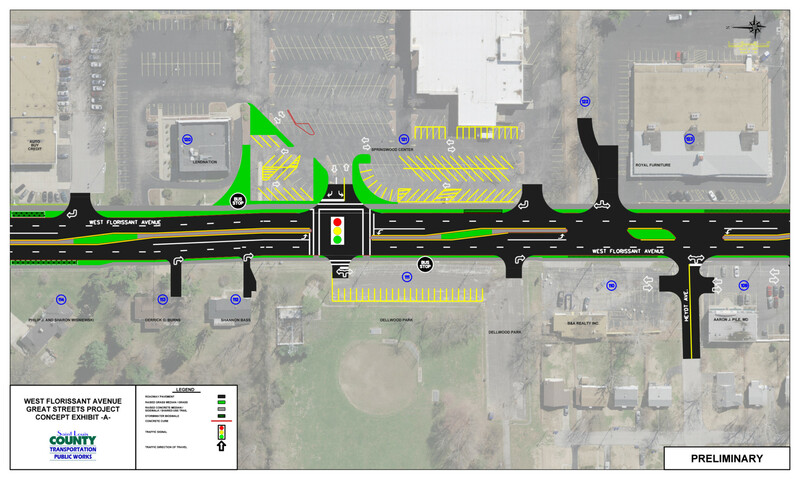 The West Florissant Avenue Project team, after months of research and taking with residents, elected officials and business owners, unveiled their draft designs and recommendations at the January 31, 2018 open house at New Life Community Church of God in Christ. 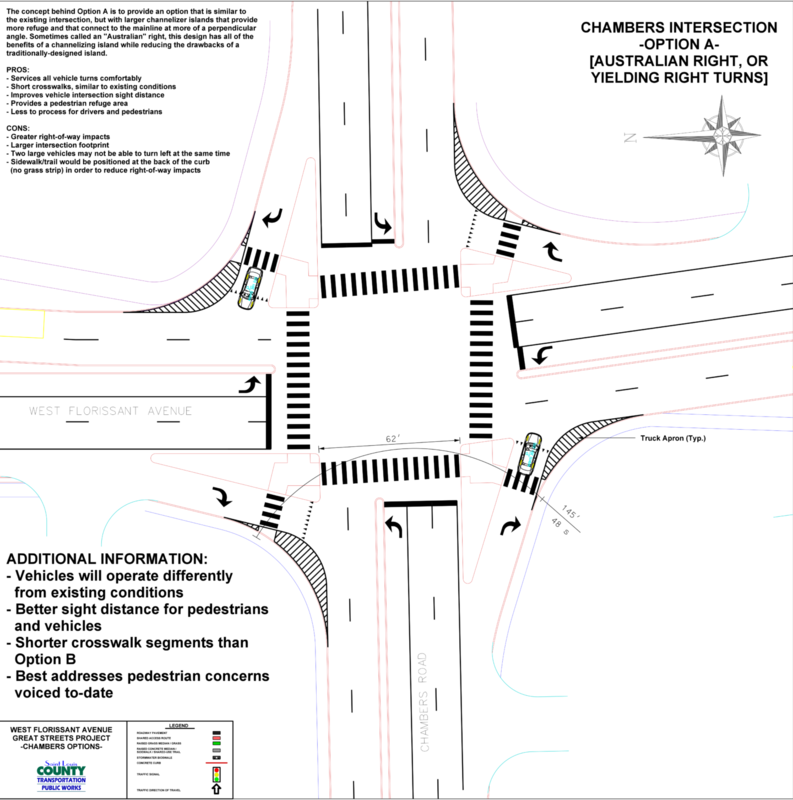 A wide variety of changes have been considered, with the primary focus being on improvements that would improve the safety of all users. 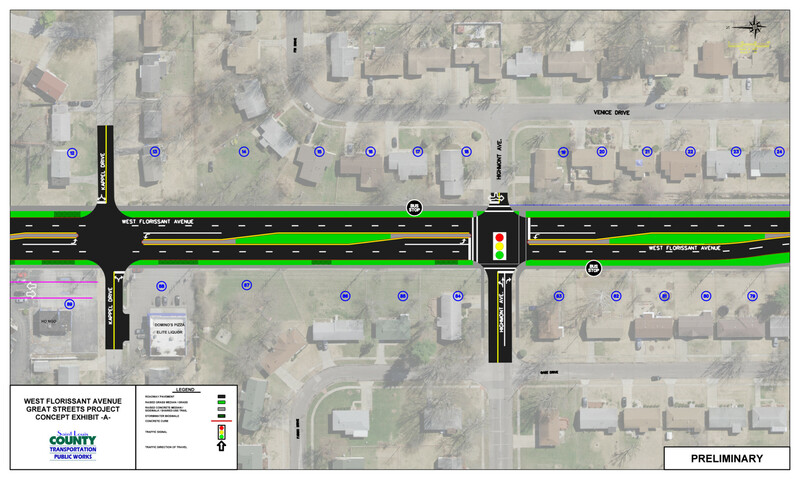 These improvements include sidewalks, crosswalks, a multi-use path, curbs, more clearly defined access points and lighting along the corridor. 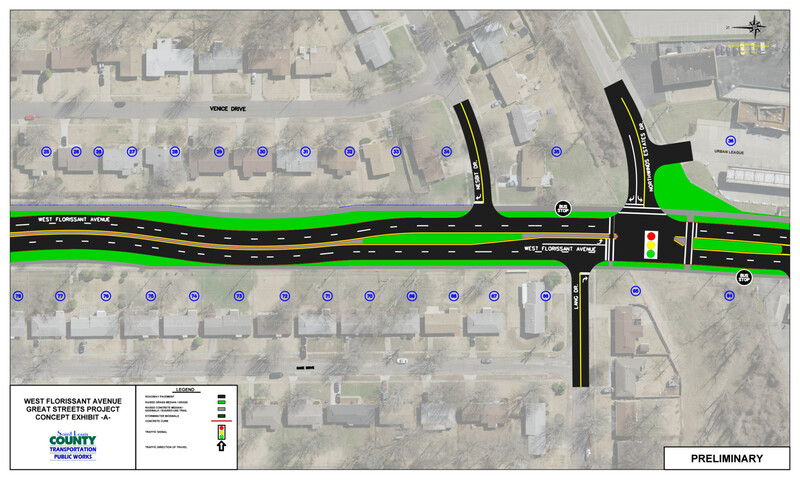 Additional improvements such as medians, storm water features, trees and plantings could be included as well. 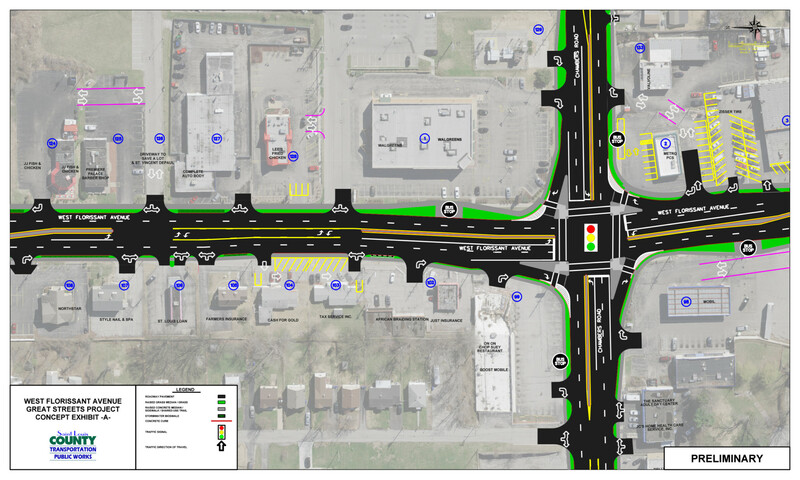 These designs and branding options are preliminary and subject to change based on community input and changing needs.